I will thoroughly clean your dryer vent and/ or your air duct system to make it healthier and easier for your family to breathe the air in your home or business. Please note that California Air Duct Cleaning does *not* engage in telemarketing, and we do not have a 415 or 800 phone number. Some company using a name similar to ours is phoning people and bothering them, but I can assure you it is not us. Don’t just think of our services as cleaning, we also provide you with safety and fire prevention. Had my dryer vent cleaned, excellent service, Randy called me back soon after I left a message and was able to squeeze me in for a same day appointment which I was greatly appreciative. He arrived on time, was courteous, and knowledgeable of his craft. The dryer works great now cutting drying time down 2/3s. I would recommend California Air Duct Cleaning ( Randy ) to anyone. Randy was very efficient and informative. He did a great job using drop cloths to protect my furniture and floors. And the dryer vent ,he took care of that too!! I highly recommend California Air Duct Cleaning. Randy does a very thorough job. 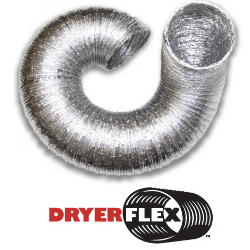 Quick, efficient and helpful explaining what shape your dryer and vent duct are performing. Ours was totally blocked and we didn’t know it. Dodged a bullet. Highly recommend. No hidden costs. Excellent service. Very knowledgeable and explained everything he was doing. We called California Air Duct Cleaning on a Saturday afternoon when our dryer stopped working due to blocked air flow. Randy answered and said he was pretty busy that day and might not be able to make it. We told him my wife was due to have a baby and we were really going to need our dryer to work and he came right over. We ended up having a tricky problem with 4 different 90 degree turns in our vent as it makes its way through various parts of the house, but Randy got the blockage cleared. He was courteous and professional and, having worked in HVAC for a number of years, really knew his stuff. Will definitely call him again when we need help. Very professional and did a fabulous job cleaning our Dryer Duct work. Very impressed and would recommend to anyone needing work done. I had manage by "doing it myself" to clog up a dryer vent. 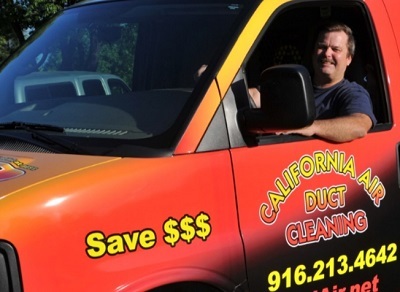 Called California Air Duct Cleaning from Roseville, Ca, and Randy came to got it all back in order quickly. Really friendly and a pleasure to do business with. He had all the right tools and equipment and was done in short order. Highly recommend for dryer vent cleaning. He services the Auburn, Ca area where I live. California Air Duct Cleaning (www.calair.net) is an excellent company that strives to fully satisfy. Unlike the many others who provided us an estimate to “Blow and Go” at a very low price and very fast – “we will do it all in two hours”. Randy Kienast does NOT do this, he does an excellent job and covers ALL aspects (e.g., Rinse all registers, push air rods threw all vents, cleans fan motor and evaporator coil, and clean our entire dryer vent system. The job took him just a little under 6 hours and WOW what a difference in our system. Randy is professional, polite, and very devoted to leaving your house very clean. We are preparing to have the inside of our house painted and even the painting contractor we have hired was impressed and wanted his name so he could give it to other customers he felt should have their air ducts cleaned before painting. Bottom line, don’t overlook California Air Duct Cleaning, you will pay a few dollars more but in the end will not have wasted your money on a blow and go job! Thanks Randy, we are delighted with our investment and the results! We knew it was time to have our dryer vent cleaned when it started taking 2 HOURS to dry a load of wash. It's one of those jobs you just kind of put off doing since you're busy with life! We knew we wanted to use a local family-owned business and Randy far exceeded any expectations. Thanks for coming out to clear our dryer vent today. I dried a load of towels just after you left and it took half the normal time - amazing! Thanks so much for your help and getting everything sorted. I appreciate your professionalism and prompt service. My dryer was taking forever to dry my clothes no matter what setting it was on. I called a repairman and he suggested I needed the vents cleaned. I was in a real bind. My cousin was coming to visit from England in a couple days time and and I had tons of laundry to do. I called California Air Duct cleaning and Randy was so accommodating. He came the very next day and cleaned my extremely clogged vents. He gave me valuable tips on maintenance and care of my system and what to look for if problems arose in the future. I was very, very pleased with the experience and will use them in the future when I have my air ducts cleaned. I would highly recommend them. Randy was very knowledgeable and very efficient. Great job and awesome pricing for all the duct cleaning that was performed. Best service I had in years...Randy is living proof that some contractors are not trying to rip you off. I plan to use him again in the near future. Thanks Randy!!! California Air did a great job for us! They were on the job on time, did a wonderful job cleaning out our vents (including the dryer), and didn't leave a mess behind! We were very satisfied with the results! Awesome job, Cal Air! Highly recommend them to everyone we know. Our whole house runs 1 degree cooler and we can feel the clean. Thank you for fixing the dryer vent clamp. I would gladly recommend again! Calif Air did a great job thoroughly cleaning our air ducts and A/C unit. Randy did great work, and explained everything he did as he went. Our AC worked more efficiently after the work was completed. I would recommend Randy and Calif Air without reservation! Randy did a great job with the duct cleaning in my house. He explained everything as and then he did and I really feel the difference.Thanks for the tips and suggestions. I would definitely recommend him . Was here on time, took the time to do a thorough job, very conscientious worker, showed us how the cleaning system worked and cleaned up after the job was completed. We were surprised to find out how much equipment it takes to clean the ducts in a house. He put in a full 8 hours to accomplish what had to be done to clean our ducts right. Our ducts were very dirty and are now very clean. It gives you a good feeling to know it has been cleaned right. This was the best price for the quality of work. Wow! What a difference it has made since Randy cleaned by dryer ducts. He said I was lucky to have not had a fire because they were so clogged. I have bought 2 dryers, thinking that my dryer wasn’t drying properly. This was not the case. My ducts were so clogged that there wasn’t any way for air or moisture to escape. My clothes were taking hours to dry. Now with the ducts clear, Drying clothes is so easy and quick. The cost is reasonable too. I would highly recommend Randy for any dryer duct job. Thanks for everything. California Air did a great job for me! They were on the job on time, stayed on task, and kept me informed about their process, and work. There was no high pressure selling of additional work, and I was very satisfied with the results! Good job, Cal Air! I’m glad I called California Air Duct Cleaning! My dryer was taking forever to dry my clothes (and it was a new dryer less than 1 yr old). I heard that dryer vents that have too much lint build up can cause this problem, and could also cause a fire. With that in mind, I called and spoke with “Randy” in the late morning and by that afternoon, he came out, cleaned my dryer entire dryer vent and solved my problem! He was so accomodating to work around MY schedule and fit me into HIS schedule, even though he had a busy day! I really liked how he provided excellent information on the vent cleaning process & tools before he even came out. I checked out his business thoroughly (like I do before I have any company perform work for me). His BBB rating is outstanding and the customer reviews of his business were excellent. When he came out and performed the work, he lived up to my every expectation and did an excellent job — job done right and professionally the first time! I’m so glad I chose to use him to service my vent. I will be using him for any future services needed and you will not go wrong to use him as well. I learned so much from him about how important it is to keep your dryer vent clean to minimize the risk for fire. I am happy to say that I am one of the lucky ones that did not have my house burn down due to a clogged dryer vent – and I thank Randy for that! He could knowledeably discuss the situation on the phone and offer a better price. When he came out and confirmed that builder debris caused the need for cleaning, he did a very professional job. Now, the air moves better through our house. We will contact him again when needed. Fill out this free quote form, or call me today. If you miss me, please leave a message and I’ll get right back to you.